The textures used here were created by Ottemis and smarteck. Do not, under any circumstances, redistribute them without permission from them! Original assets created by and belong to Bioware. HR Science textures were created by Ottemis. HR Ajax textures were created by smarteck. Spec files for all three and texture .mod files were made by Ottemis. Textures used with permission. Clear-faced helmet mesh by Getorex and used with his permission. Edit 21/3/16: CaptainObviousau here. All of the DLC files have been updated with two options included. 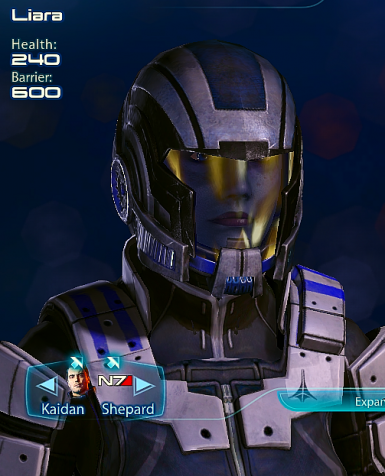 You can now choose between having Liara in the Ajax armour with her default breather mask, or the fantastic helmet created by Getorex. In addition you can choose the black SR-2 casual outfit instead of the green uniform if you wish. 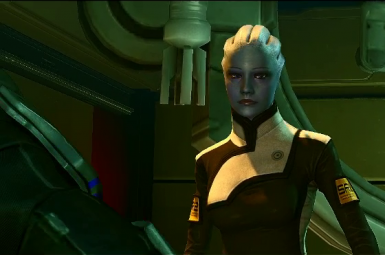 The new DLC is plug & play - no longer any need to use ME3 Explorer! Edit 6/12/15: CaptainObviousau here. Optionally you can now download this mod as a DLC rather than using the 'MOD' method. 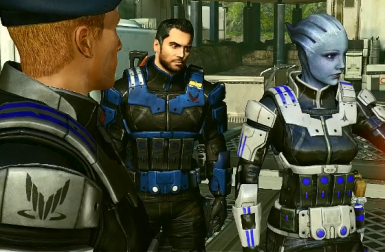 The main DLC file is to replace Liara's casual outfit with the ME1-inspired green science outfit, and with the Ajax Armour replacing her default around. There are four optional DLC files - simply use these if you want to replace any of Liara's other armours rather than her default, the choice is yours! Also thank very much to princessdemeter for allowing me to contribute to this great mod. Edit 12/5/15: Thanks to CaptainObviousau, Liara now has some sweet squad select icons to reflect her new Ajax armor! :D I've updated the original file so there's now a single .mod file for the textures, mesh, and the new icons. Just load it, run it, and go! ;) And for those of you who already have the mod installed, there's also a new icon-only mod so you can give her the new icons without reinstalling the entire mod. Edit 10/11/14: Added a tpf to install the Ajax textures, hopefully fixing a few errors :) Be sure to read the readme! 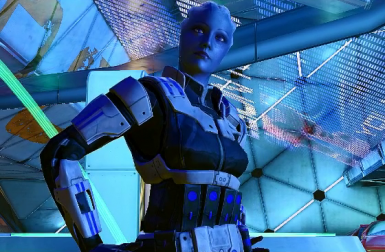 With the hotly anticipated release of BackOff, I can safely say both the .mod and dlc versions of Liara's new outfit should be fully compatible. There do not appear to be any conflicts in any of the files, though if somebody finds one, please let me know. 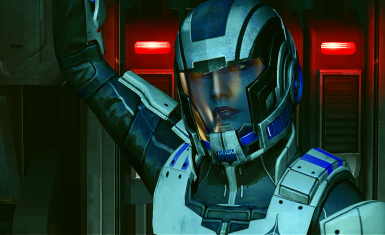 This mod will replace Liara's default white outfit with a custom Ajax armor for the field and a science uniform for off-duty. It's a complete replacement, save for the low-poly models in the Citadel DLC. 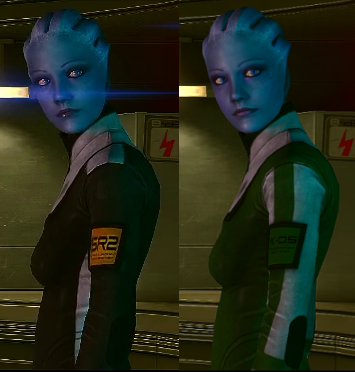 There are two colors for her science uniform, black and her original Mass Effect green. It requires me3explorer REV 653 and a full (including dlc) Texmod scan to function correctly. 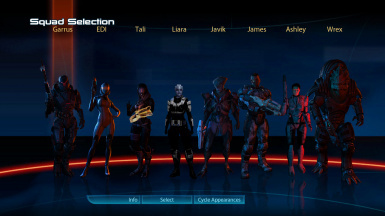 If you are new to modding, follow this guide to properly install me3explorer. 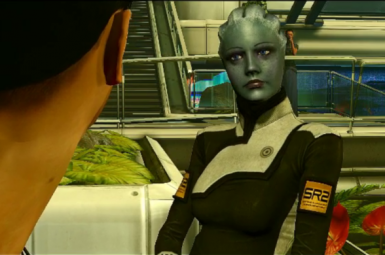 Original assets were created by and belong to Bioware. Textures for the Ajax armor were created by smarteck, edited by me and Ottemis, and are used with his permission. Get the originals here at the Nexus or here at his Bioware Forum thread. Eternal gratitude goes out to Ottemis for the use of her textures and all the work she put in to helping me get this mod out. I really couldn't have done this without you! :D Thanks to smarteck as well for letting me use his lovely Ajax textures.